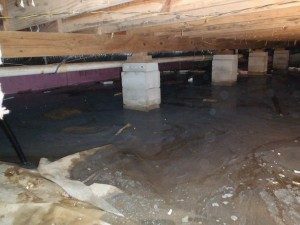 Your Tannersville Basement is not doomed to be damp forever! We can fix it for you permanently! We are able to custom tailor a basement drainage system for your home, which matches perfectly to eliminate the moisture, or water entry problems you're having. You won't have to worry about water coming in the floor joints, cracks, bilco doors,or even from hydro-static pressure under ground, ever again! Our systems are able to remedy all of these problems and much more! We also can handle your sump pump installation. Call us and take your first step to a dry, safe, worry free home again! We guarantee it! In price comparisons with other local Tannersville companies, we have been told we are usually lower than the highest priced, but not the lowest price. We are very competitive with price and excel in service, product and quality. Tannersville was founded in approximately 1750 by John Larner, formerly of Philadelphia. Tannersville, according to one historian, was first called Pocono Point. Many Indian trails were later widened for stagecoach use, and later evolved into highways. Two of the most famous of these are Lackawanna Trail (now Rt. 611) through Tannersville and Sullivan's Trail. Learned's Tavern (which most recently was under the name The 1740 Alpine Inn, and which burned down in 2000, was established along the Lackawanna Trail, and in 1779, was the last building on the frontier. On June 18, 1779, General John Sullivan and his soldiers camped at the Learn's or Learned's Tavern. They then cut a road (now Sullivan's Trail) through the wilderness. Today, Tannersville is home to places such as the Camelback Mountain Resort. 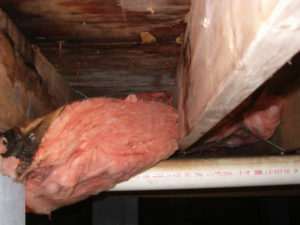 We provide water cleanup services throughout Tannersville PA, including 18372.